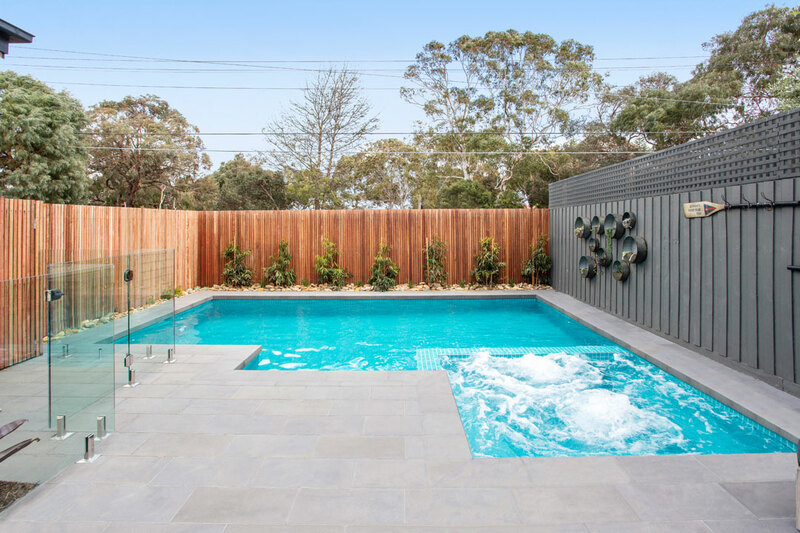 Inspired by the glistening Indian Ocean, this stunning project by Bayside Pools & Paving brings a touch of paradise to a suburban backyard. The client wanted to recreate the relaxed and luxurious atmosphere of a tropical beachside resort so they could feel as though they are on holiday all year round. 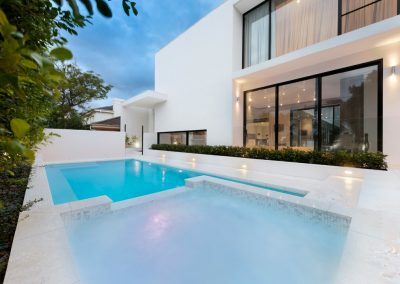 At the heart of this project is a sanctuary to relax and unwind, which was expertly achieved through its seamless design and ocean-like colour palette. 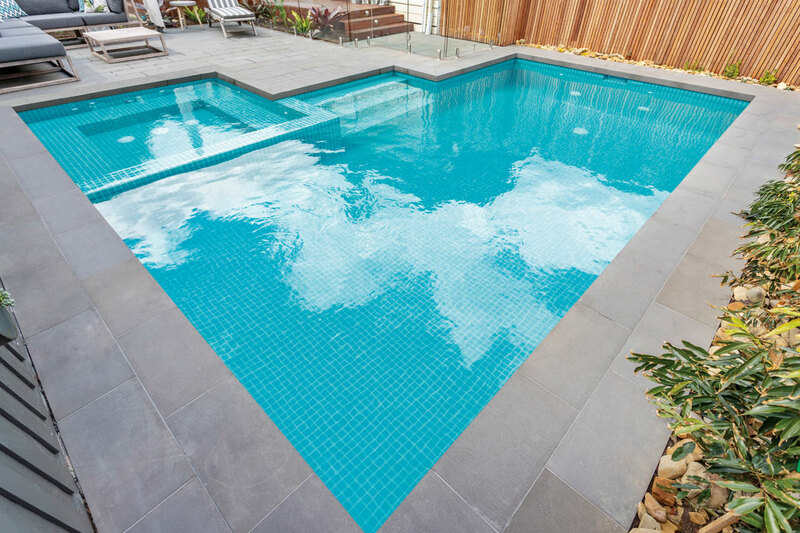 Fully tiled in a bright blue hue, the pool emulates the crystal clear waters of subtropical holiday destinations. 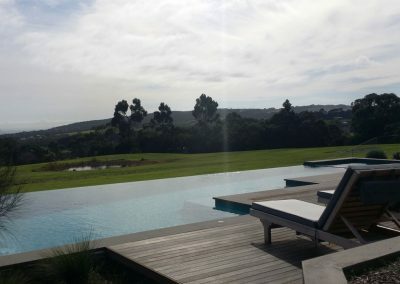 The tranquil ambiance of the space is enhanced with a lavish outdoor lounge suite as well as resort-style landscaping and timber fencing. The space is as practical as it is beautiful, with plenty of room for the whole family and friends, too. 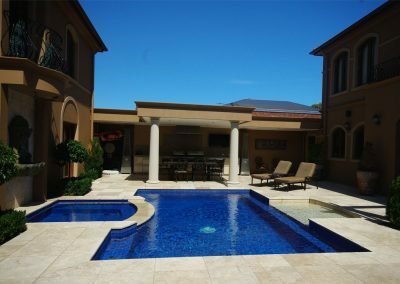 The team at Bayside Pools & Paving maximised the use of space by building the 6.8m x 3.6m pool and 2.4m2 spa combination as close to the property’s boundary as possible, thus leaving ample room for entertaining guests. 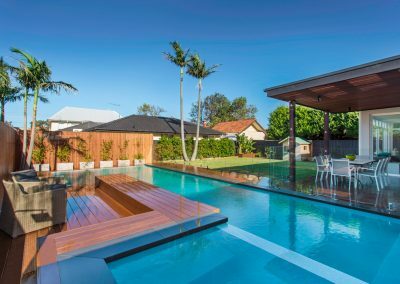 Frameless glass fencing gracefully integrates the new pool area with the existing deck and meals area, promoting a cohesive outdoor entertaining experience that is perfect for the summer months. The pool features a wide step entry that creates a safe space for small swimmers, allowing the whole family to enjoy the space together. 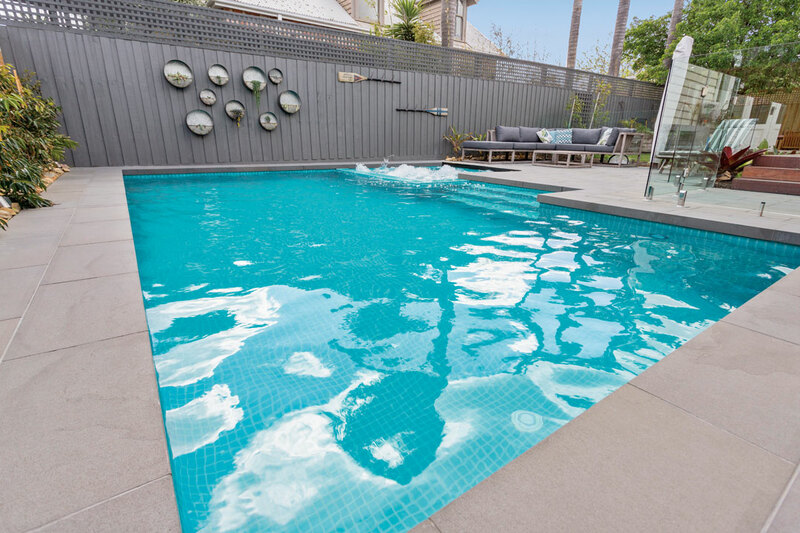 Bayside Pools & Paving fitted the pool with premium AstralPool equipment, including a HiNRG 400 gas heater, Viron eQuilibrium chlorinator system, and CTX 280 pump. Other products used include the Viron Connect automation system, a CA media filter and SLX multicoloured LED lights. Six spa jets from Spa Electrics provide the ultimate relaxation experience, while the 28m2 solar-panel heating system provides the pool with a beautiful tropical warmth throughout the year. Other notable features of the pool include the automatic water top-up system and the wide steps that lead into the pool. 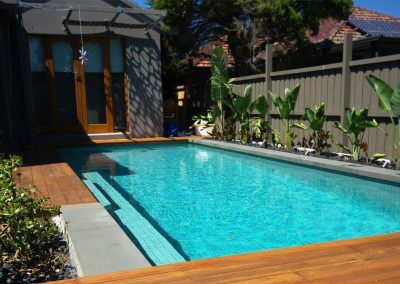 Specialising in fully tiled concrete pools and spas, Bayside Pools & Paving services Melbourne’s Bayside suburbs. Founded by Ken Pickersgill and his son James, the company has more than 45 years of combined experience in the industry. 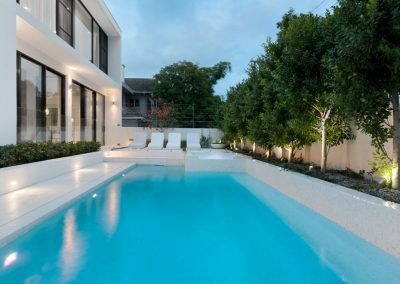 The expert team at Bayside Pools & Paving provide exceptional customer service with great attention to detail from concept to completion. 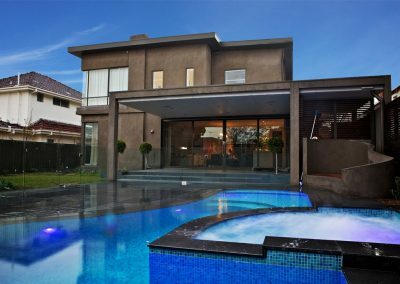 Both Ken and James are registered builders and members of the Master Builders Association of Victoria, so you can rest assured that your project will be handled with the utmost care, precision and professionalism.